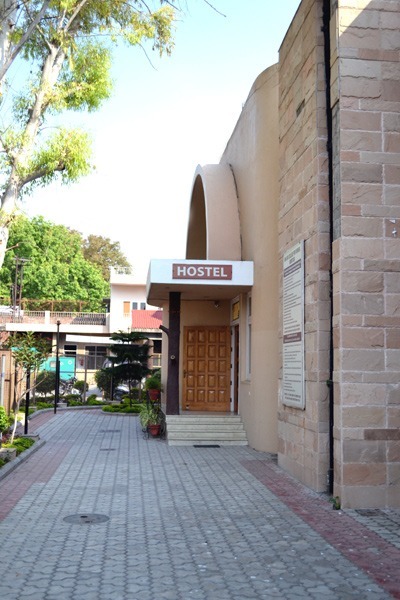 The college has two hostels – Main Hostel and Hostel for Sports Women. Hostel offers accommodation with all the modern amenities and a peaceful atmosphere conducive for studies. This includes ordinary, deluxe, air-conditioned, deluxe air-conditioned rooms and a big dormitory. Visitors are allowed to meet their wards during specified days and hours only. Visitors are allowed only in the visiting room. No visitor will be allowed on odd days or during odd hours. Any exception to visiting time or person must be approved by the warden. No guest will be allowed to stay in the hostel for the night, not even female guests. The visitors must sign the Visitor’s Register at the gate before entering. Visitors will be allowed to see a boarder only upon presentation of the visitor’s identification card issued by the college and signed by the parents, and can see their wards only. Parking is prohibited outside the hostel area. Boarders are responsible for the safe-keeping of their money, belongings, clothes etc. Defaulters will be punished strictly. On personal request from the parents of wards; boarders can go home on special occasions. Parents must cooperate with the college authorities in maintaining discipline in the college and the hostel.